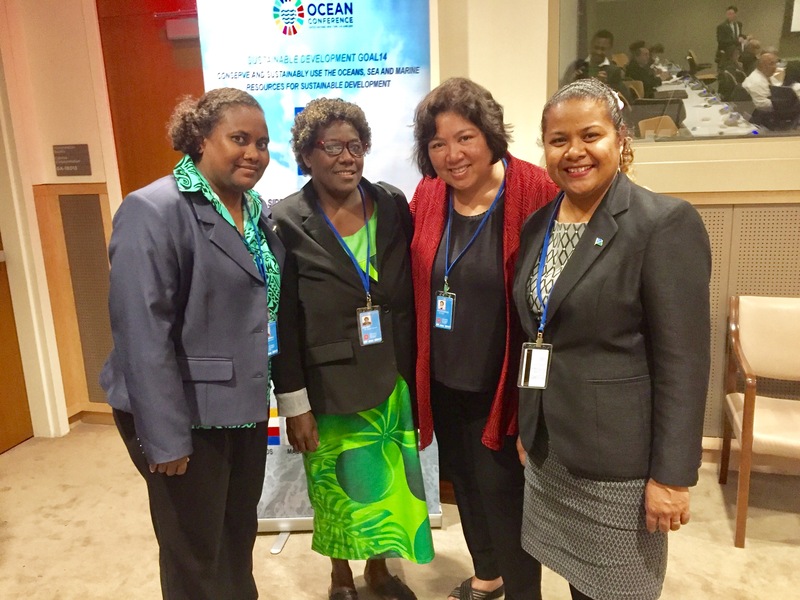 The important role of women in natural resource management was recently highlighted at a Coral Triangle side event at the United Nations Ocean Conference, where Rindah Melsen of the Solomon Islands told her story. So declared Rindah Suharto Melsen, President of the Nusatuva Women’s Savings Club1 in the Solomon Islands, in a talk on “The Importance of Women and Community Engagement in Marine Conservation,” which she delivered at the first ever United Nations Ocean Conference last June 5-9 at the United Nations Headquarters in New York City. Melsen was a featured speaker at a Coral Triangle side event organised by WWF and partners. Other than Melsen, speakers at the Coral Triangle event included Honourable Milner Tozaka, MP, Minister of the Ministry of Foreign Affairs and External Trade, Solomon Islands; Dr. Suseno Sukoyono, Special Adviser to the Indonesian Minister of Marine Affairs and Fisheries on Inter-agency and Stakeholder Affairs; Gina Green, Senior Associate Tt, Project Manager, ECOFISH Programme; Luigi Cabrini, Chair, Global Sustainable Tourism Council; and Paul Holthus, CEO, World Ocean Council. 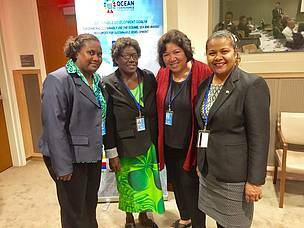 Achieving gender balance came out as a strong issue in the UN Ocean Conference. 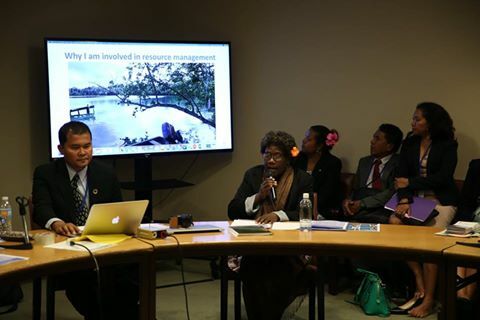 In an earlier side event called “Healers of the ocean: Asia-Pacific Women Leading Ocean Action on SDG 14,” Melson was also one of the speakers and was able to highlight the role that women play in ocean resource use, ocean science, and ocean management. 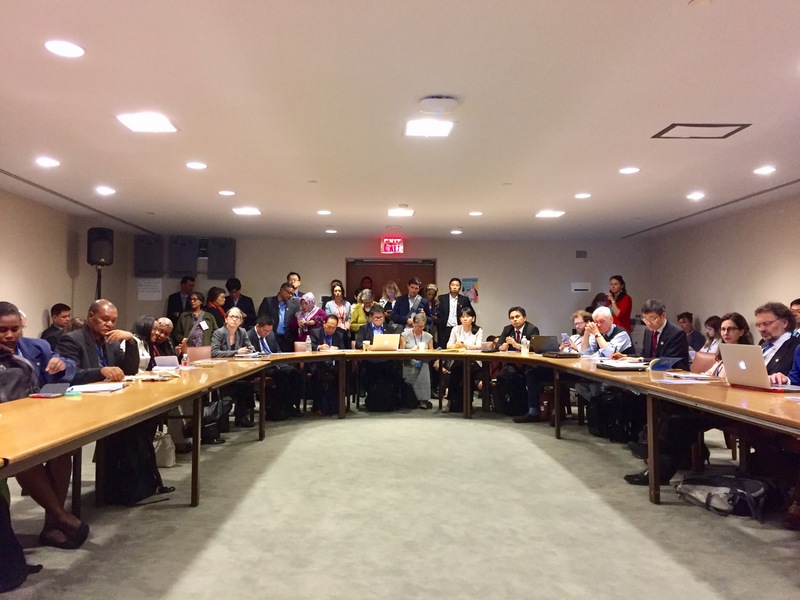 to involve all relevant stakeholders—governments, the United Nations system, intergovernmental organizations, financial institutions, non-government organizations, civil society, the academe, the scientific community, the private sector, philanthropic organizations, and other actors—to assess challenges and opportunities relating to, as well as actions taken towards, the implementation of Goal 14. 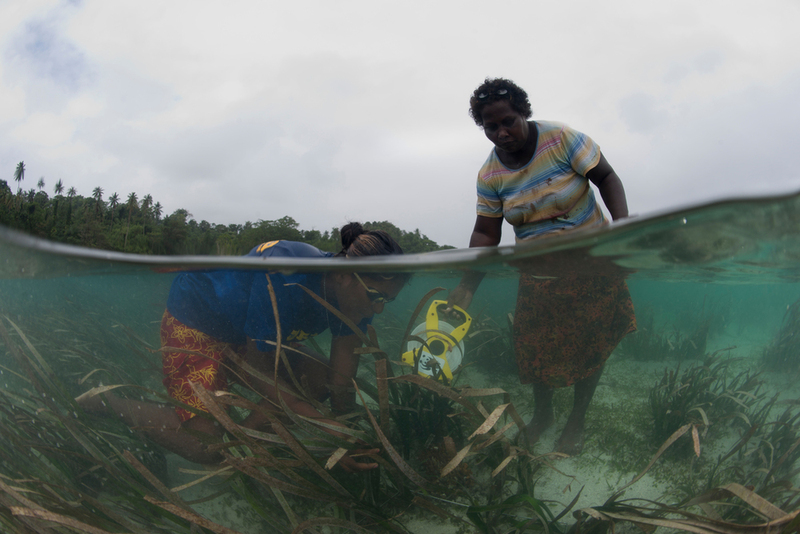 Thus, as a woman leader who described herself as “so passionate about management of marine resources,” Melsen encouraged women and girls to explore other livelihood options to help reduce fishing pressure on the reefs. The Savings Club was established to help women and girls set aside their income. 1 WWF, with support from the Australian government and John West, has worked with local communities in the expansion of women’s savings clubs across the Western Province of Solomon Islands. Tetepare women count seagrass as part of the conservation programme of the Tetepare Descendants Association. Western Province, Solomon Islands.